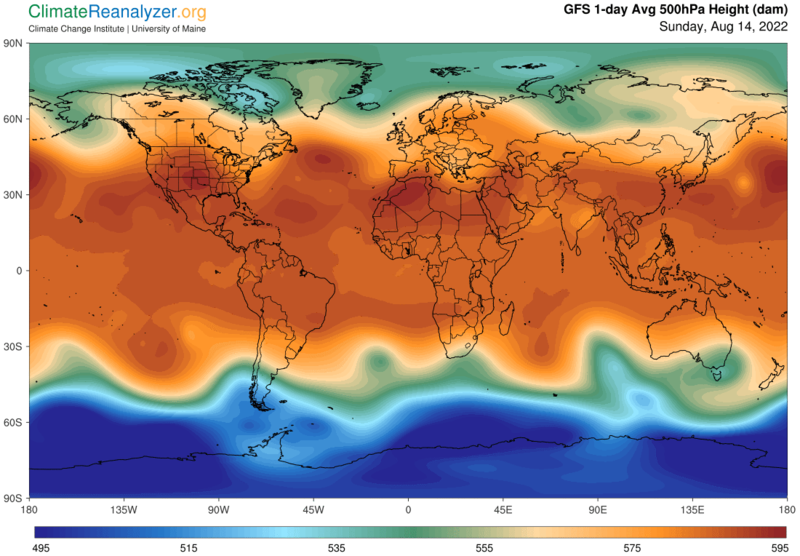 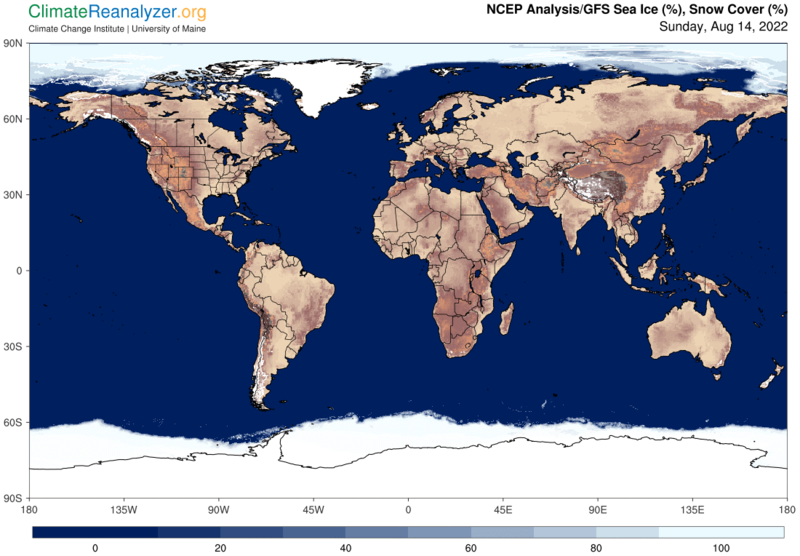 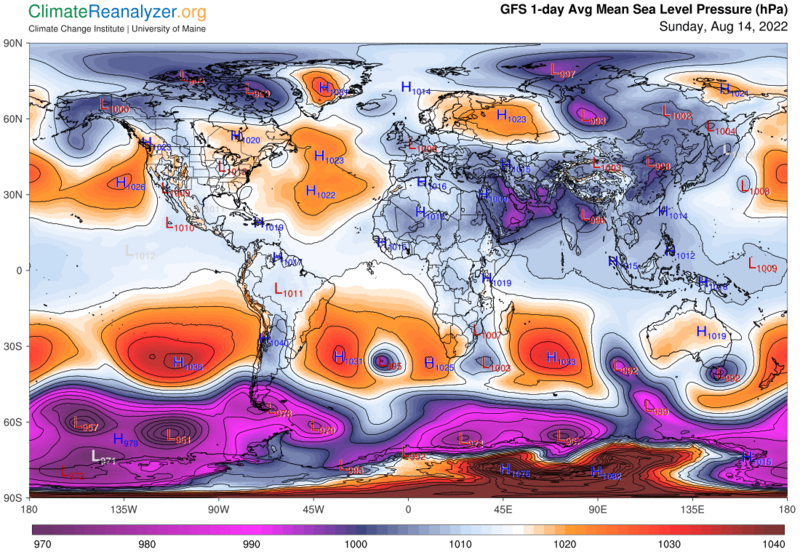 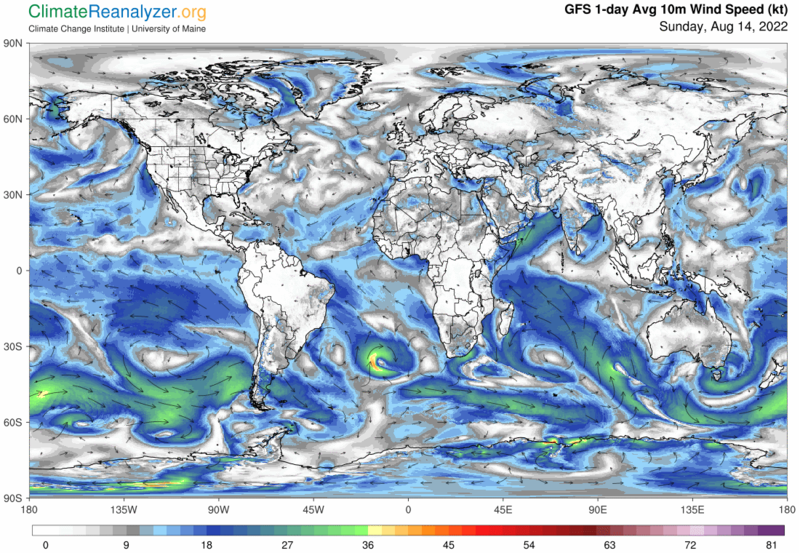 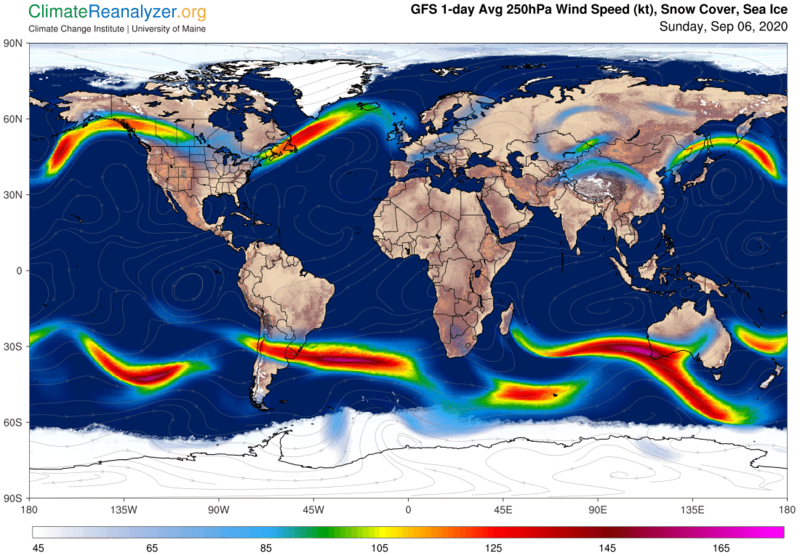 The weather maps shown here are generated from the NCEP Global Forecast System (GFS) model. 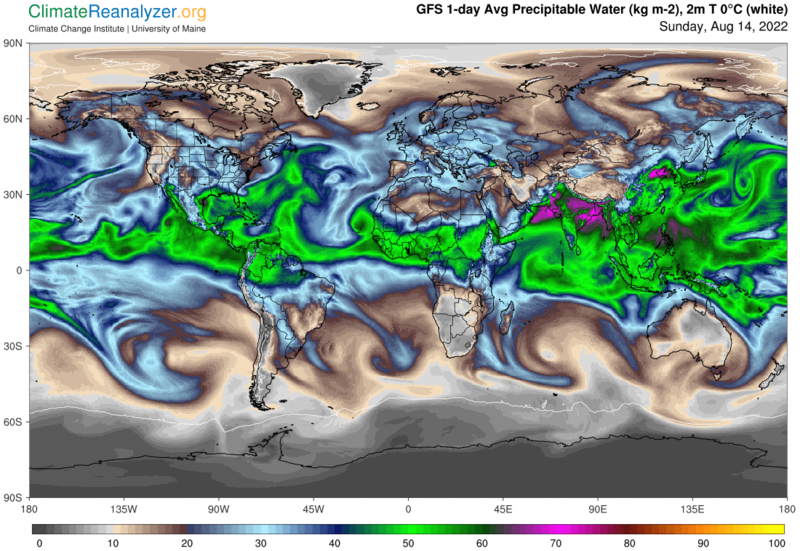 GFS is the primary operational model framework underlying U.S. NOAA/NWS weather forecasting. 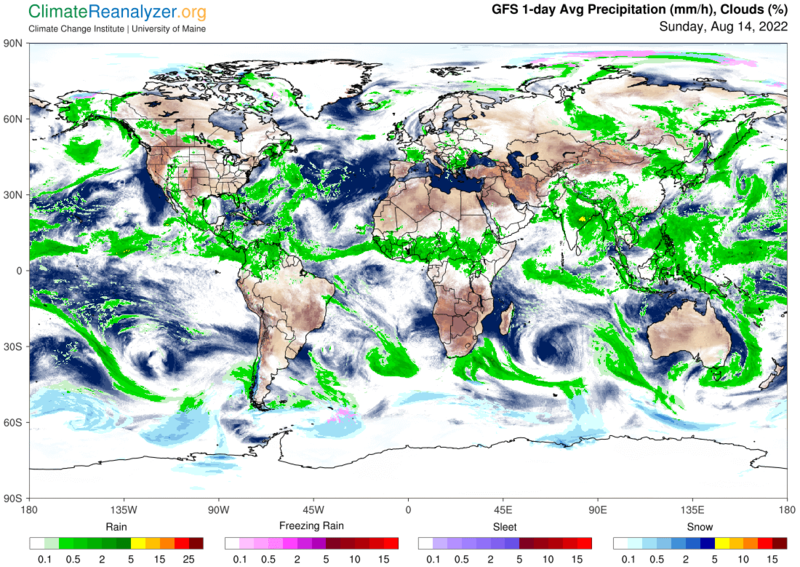 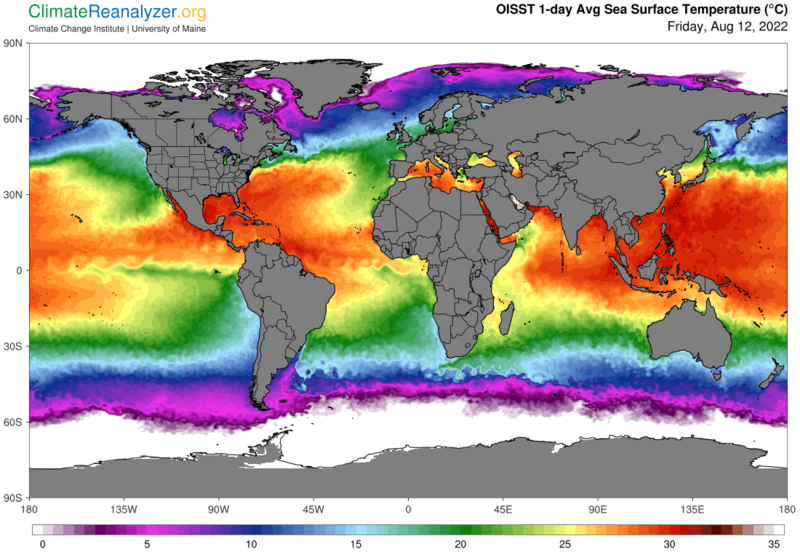 The model is run four times daily on a global T1534 gaussian grid (~13 km) to produce 16-day forecasts. 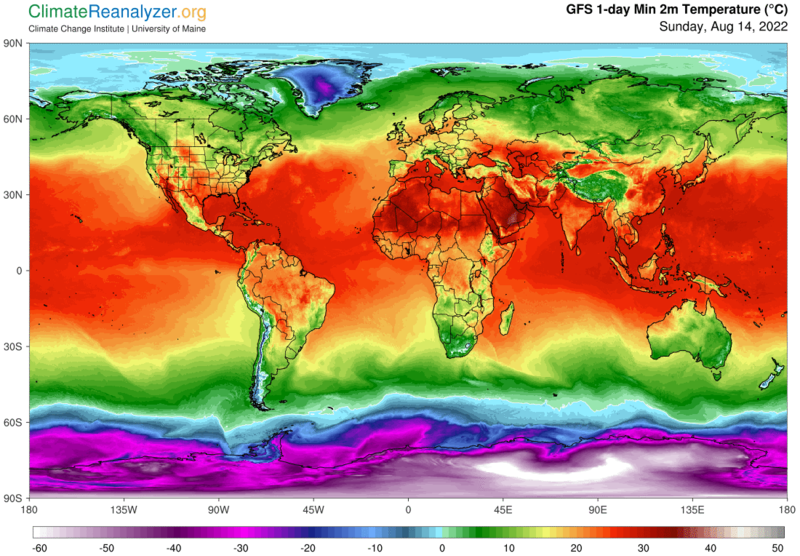 Here, we use 0.25°x0.25° (~30 km) output grids available from NOMADS, and calculate daily averages from eight 3-hourly timeslices starting at 0000 UTC. 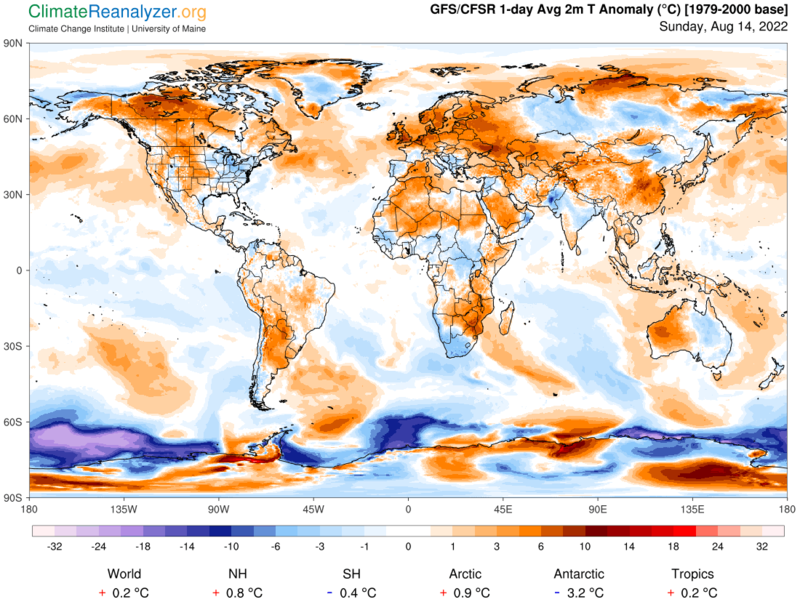 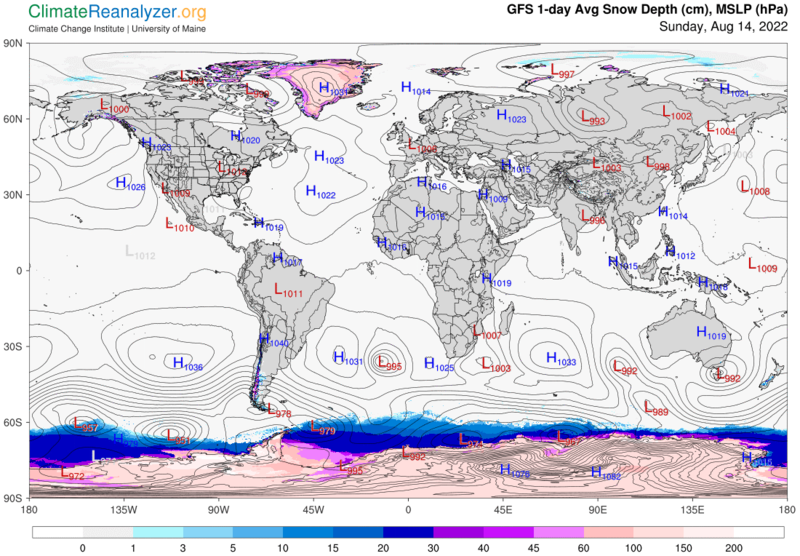 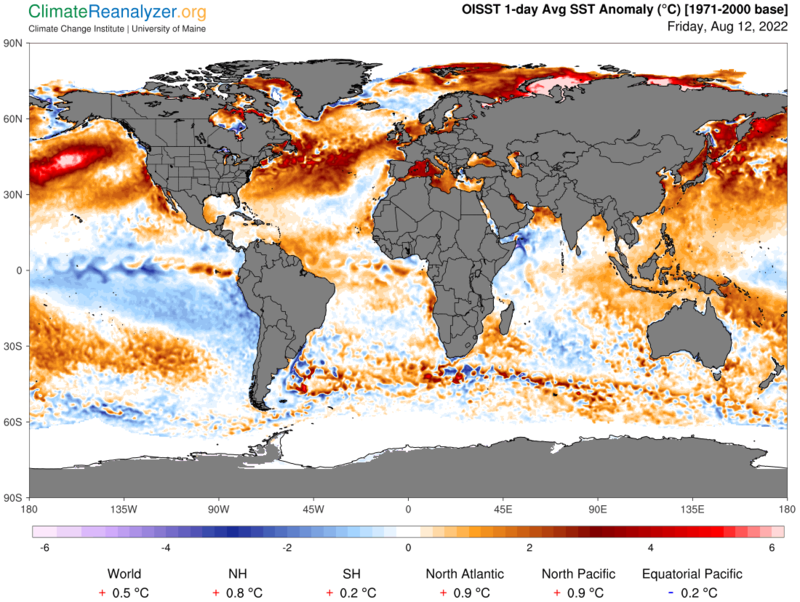 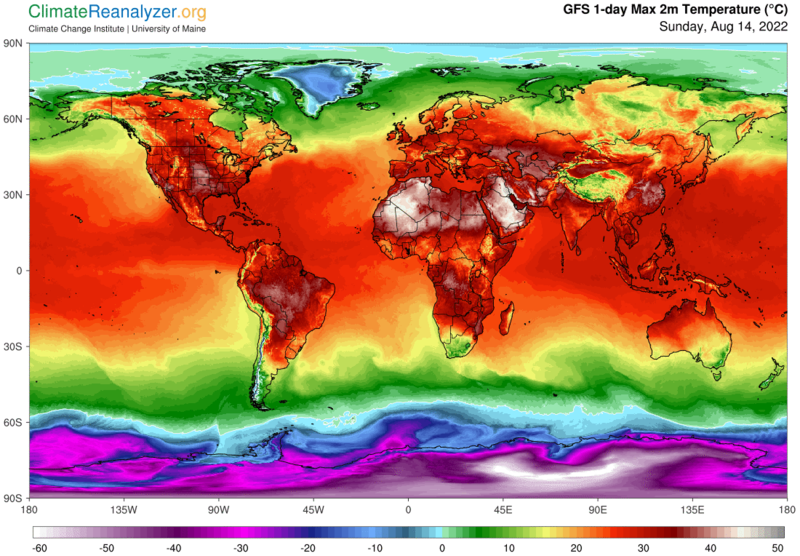 Global Meteo Overview.